← In my garden, today! More often than not, I buy something with plans to change it, but often I have to think about it for awhile before actually initiating change. Usually, it’s just a matter days to finalize my concept for what I want to do, and then I begin procuring supplies to do the task. Today is different! Today, I bought a piece, knew immediately, and transformed it immediately! 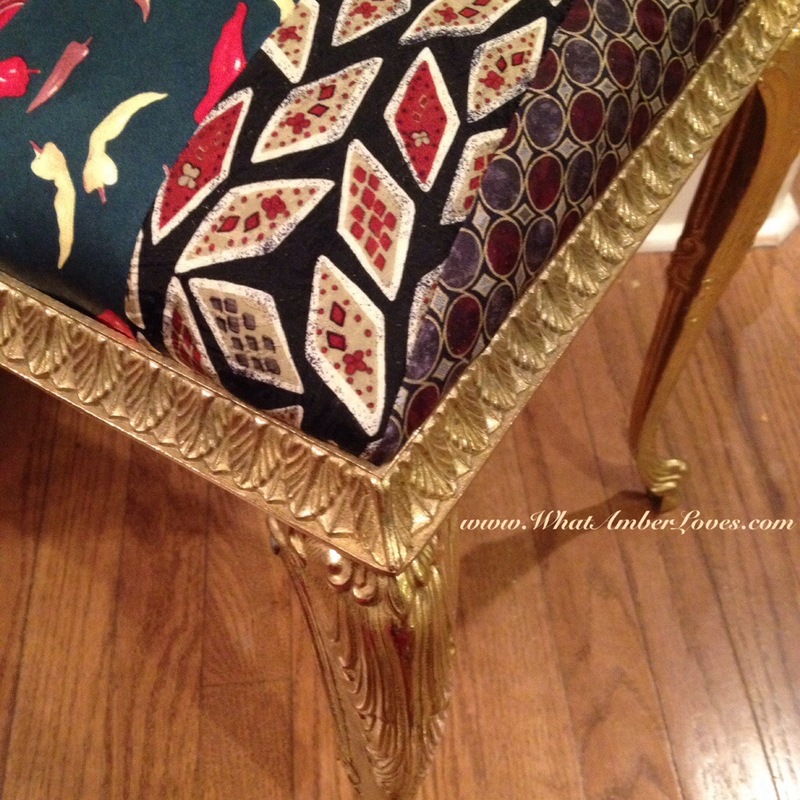 We went to an estate sale this morning and I spotted this ornate, brass vanity stool, and I just had to have it! The manufacturer’s label says it’s made in Italy. I have no idea how old/new it is, but I’d guess 1970s or ’80s. 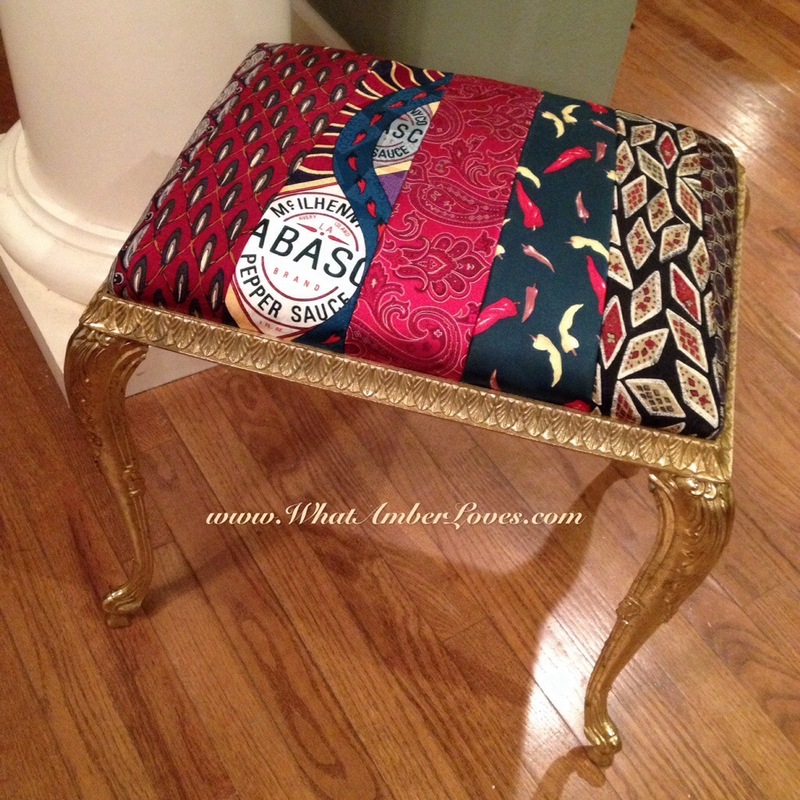 Rather than using it for a vanity stool, I wanted to use it for a foot rest/small ottoman in the living room. 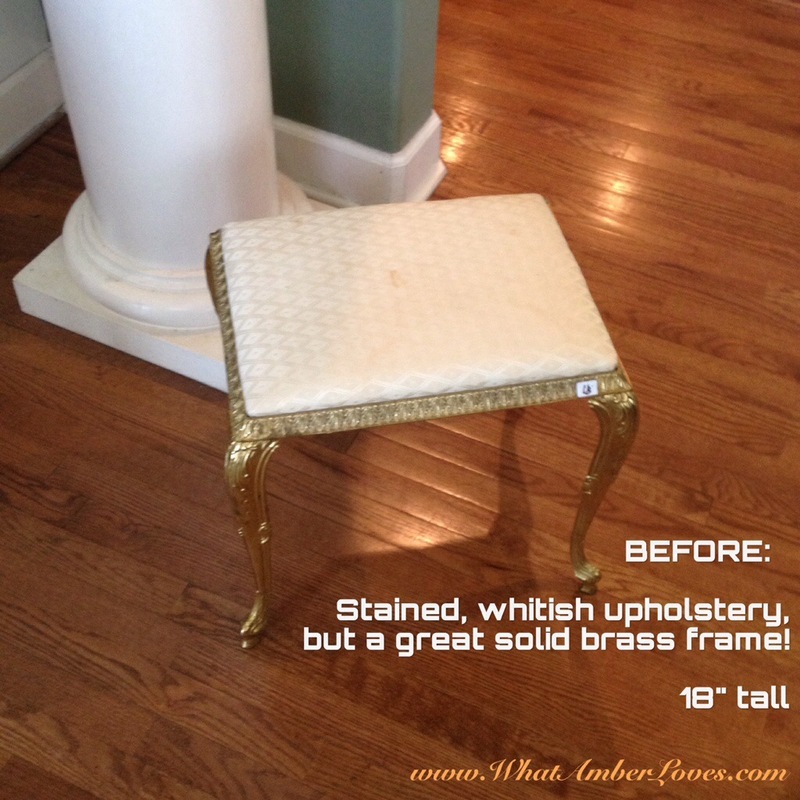 It was obvious it needed reupholstery, because I don’t “do” white in my house except for sheets, towels, and candles. Furthermore, it was stained. However, the frame is all heavy metal construction! Heavy, and 18″ tall. The neckties are all sewn together. Then, it wraps around the cushion and is stapled on the underside. Last, it’s just screwed into the frame from the underside! 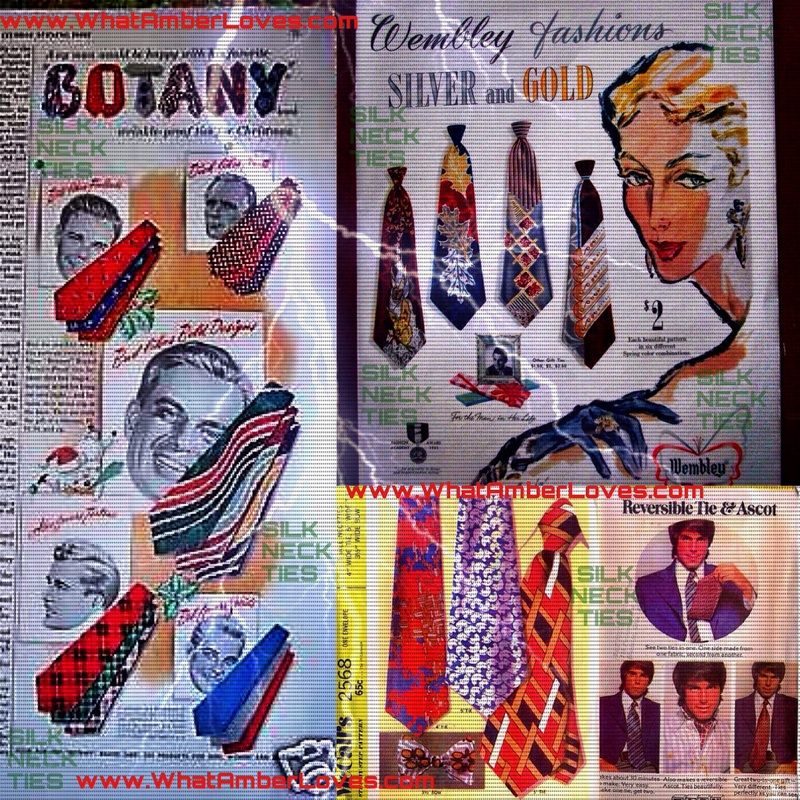 I used a fun mix of traditional and whimsical neckties! 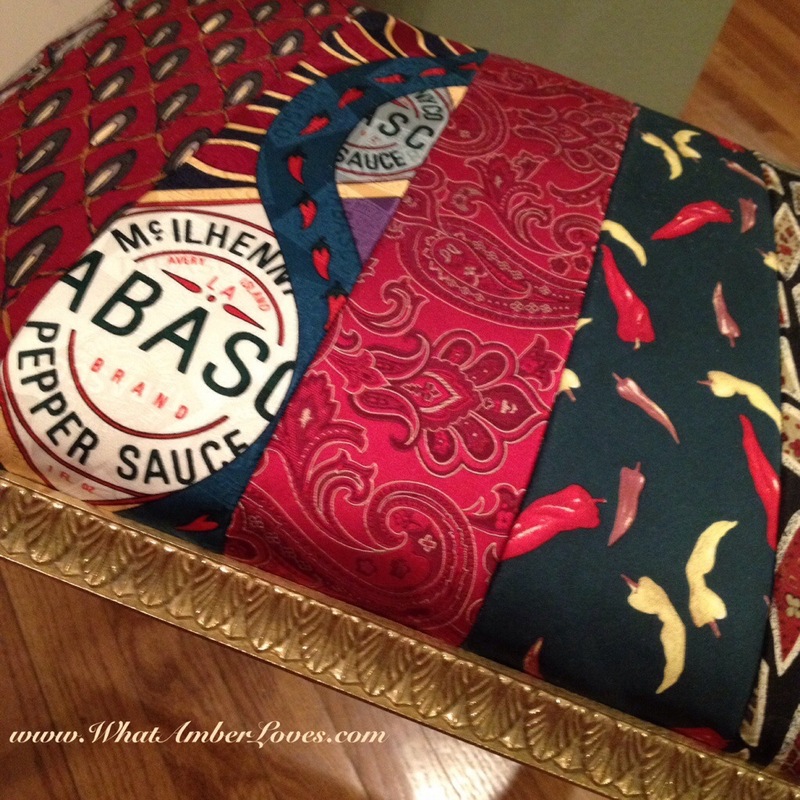 Some are paisley, one has playing cards, one has hot peppers, and one is a Tobasco brand advertising necktie! Really! How fun is that?! I love it! I may even share this post on their Facebook page. I bet they usually only see recipe posts using their product on their page! 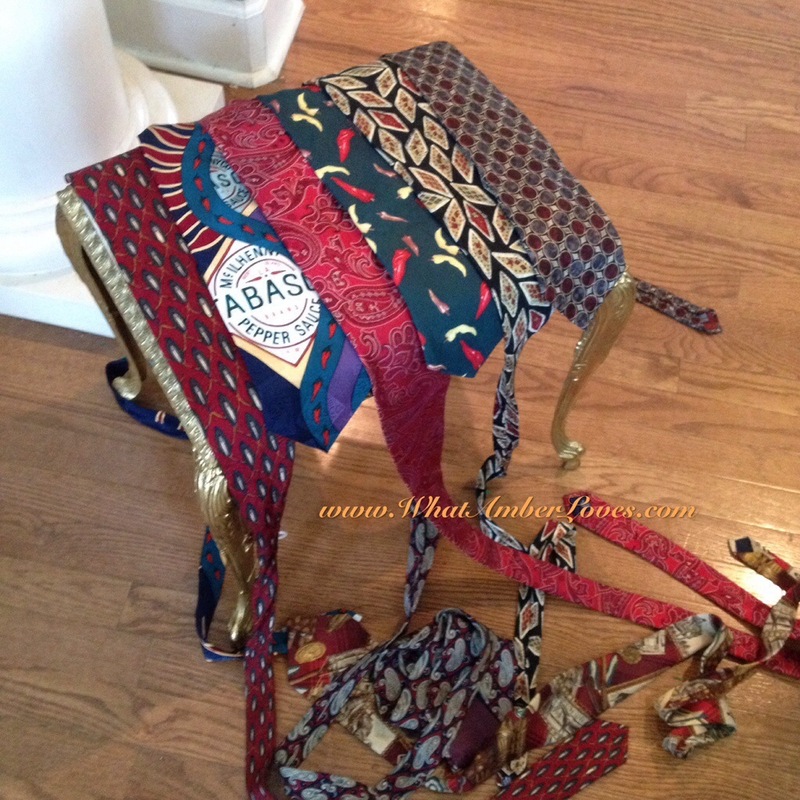 Well, today they get to see their Tobasco necktie upcycled! Fun! I’ve got my sandals off and my feet propped up on it right now as I’m writing! So, even though this was a fast turn around time for me, I’m really pleased! What do you think of my results from today’s project? I love comments! 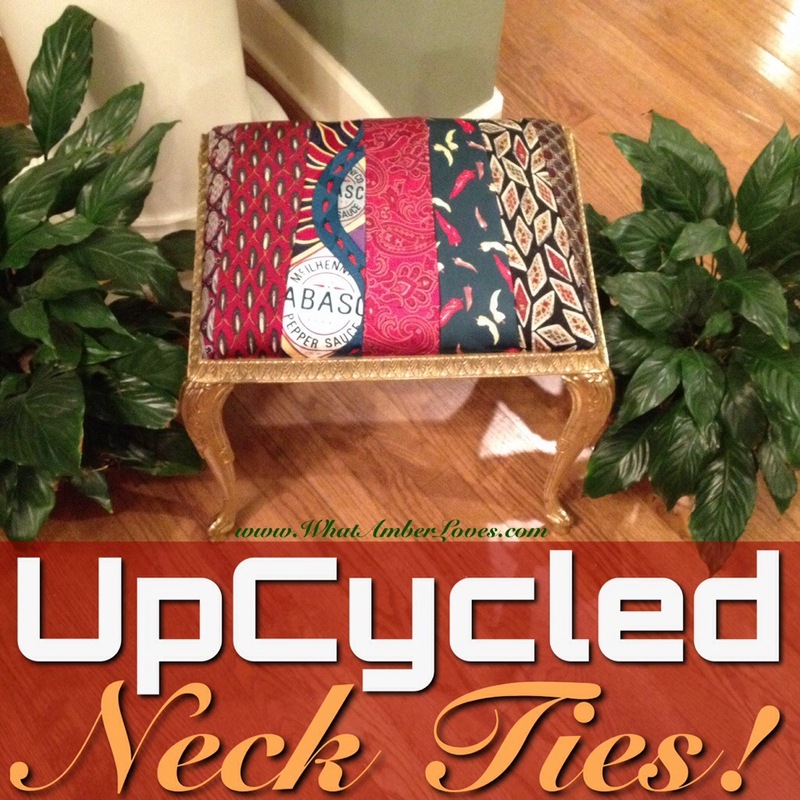 Posted on June 7, 2014, in Uncategorized and tagged decor, design, upcycled neckties, upcycling, upholstery, WhatAmberLoves. Bookmark the permalink. 21 Comments. Thanks, Carol! This one was a quickie, for sure, but I think it turned out to be a fun pop of color for the room! Oh, JOY! What a lovely find and what a fun tranformation! I love this. Thanks! 🙂 A quilt out of neckties sounds like a lovely idea! So creative and unique, love it!! How did you sew them together, machine or by hand and what stitch did you use? Thanks for stopping by! I just used a straight stitch on my sewing machine! Easy, peasey, and FAST! What a clever and creative idea!!! Thanks! 🙂 I’ll pop over and check it out, too! Love it what a transformation! Isn’t it amazing how some things can transform. I like this idea for a mans dressing room. If only we had a huge house! Thanks for sharing. Thanks for coming by and visiting. What a cool piece!! Thanx for sharing it at THT. It is almost as if kids just intuitively know when something is hand crafted, isn’t it? Awesome! Hey! 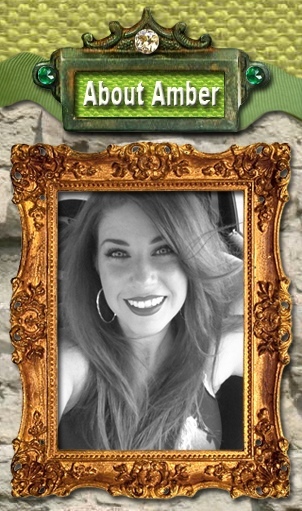 I featured your neck tie stool at this weeks Submarine Sunday!